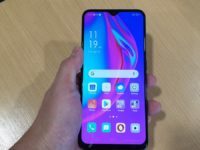 Hot on the heels of the recently released OPPO F11 Pro that has a huge 48-MP rear camera is another more interesting subvariant of the phone done up in Marvel’s Avengers livery called the Marvel’s Avengers Limited Edition OPPO F11 Pro. 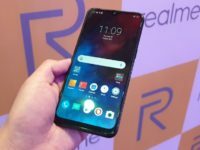 Externally, the Marvel’s Avengers Limited Edition OPPO F11 Pro has a unique finish that comes in two slightly different paint jobs, one with a dark blue Avengers logo with a silvery chrome background and the other with a paint job more akin to Captain America’s colours with a light metallic blue finished with part of the Avengers logo in red. Aesthetics aside, the Marvel’s Avengers Limited Edition OPPO F11 Pro is functionally similar to its more normal looking siblings that come in Thunder Black and Aurora Green. You have a 6.5-inch Full HD+ notched display, a MediaTek Helio P70 processor running Android 9.0 Pie, a rear dual camera setup with a 48-MP primary camera and a secondary 5-MP depth sensor along with an Ultra Night Mode for crisp low light snaps. The front has a 16-MP selfie camera that pops up on demand. Powering it is a 4,000mAh battery with an F11 Pro in normal livery retailing for RM1,399. 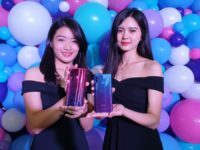 As of now, there’s no word on pricing or availability of the Marvel’s Avengers Limited Edition OPPO F11 Pro though a released statement from OPPO Malaysia hints that it will likely come in a matter of weeks. We’ll keep you posted though in the meantime you can keep an eye on OPPO’s official page at www.oppo.com/my.